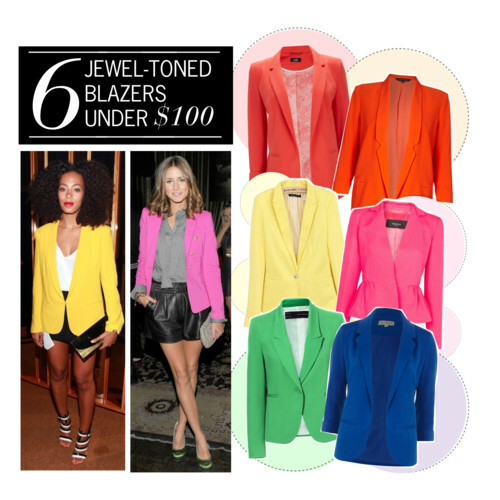 TAMMY'S OBSESSION: I am in LOVE with these colorful blazers... THIS is NEXT season "Must-haves"... especially during NY Fashion Week. The blazer is the easiest clothing to throw on with a pair of boyfriend jeans, cut-off shorts and even a cute pleated skirt. 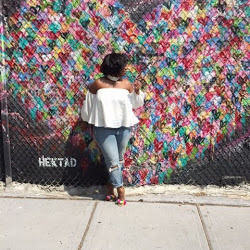 Trust ME I will be all OVER this trend... AND you should too! I love me some blazers! Definitely a staple in my wardrobe. And I've been looking for a canary yellow one since last year!